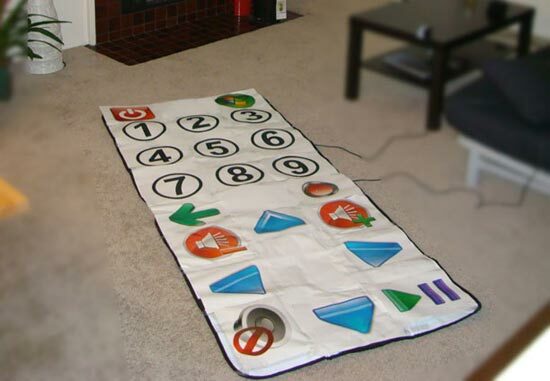 Check out this giant Windows Media Centre remote, which was made using a couple of Dance Dance Revolution mats for the PS2. As you can see from the photo this giant media centre remote is operated by moving your foot on the mat, check out the video of it in action after the break. If you want to make your own head on over to Micbex for more details.